Financial Regulation Matters: Ukrainian ‘zombie’ banks: could there be any life after ‘death’? Ukrainian ‘zombie’ banks: could there be any life after ‘death’? Ukraine is experiencing a severe banking crisis with more than 80 banks declared insolvent (including the largest bank in the country) over the last three years. This state of affairs has given rise to a significant amount of litigation and a number of suits have been filed by the shareholders of the insolvent banks against the central bank (the National Bank of Ukraine, hereinafter referred to as the NBU) challenging the legality of its resolutions that result in such banks being declared insolvent. At present, the shareholders of nine banks have been successful in sustaining their arguments in the courts that the NBU exceeded its powers when making the decision to place a particular bank into administration. The NBU filed appeals in all these cases, but its efforts have been mainly fruitless and its arguments have been dismissed by the appellate courts. One of the cases was recently considered by the High Administrative Court of Ukraine, which confirmed the decision of the appellate and local courts as to the illegality of the NBU’s actions which had resulted in insolvency of the bank. The NBU has now resorted to the High Administrative Court of Ukraine with a request to specify how its judgment could actually be implemented. 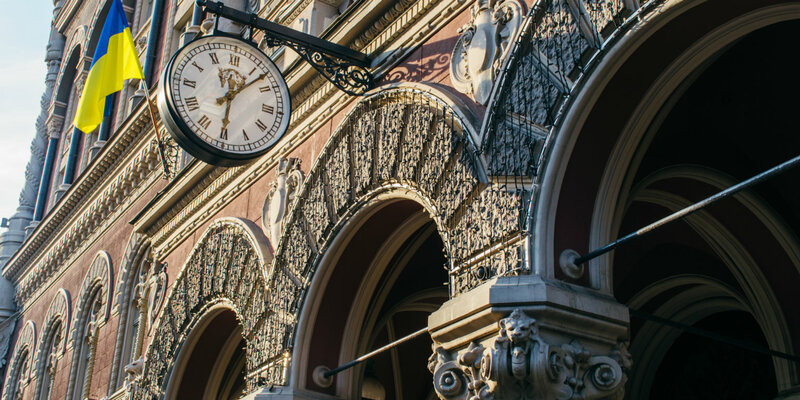 Clearly, a lot of questions arise as there is no provision in Ukrainian legislation for a bank to return to its customary operations following the NBU’s declaration of a bank’s insolvency. Moreover, the judgment of the High Administrative Court of Ukraine was rendered following the appropriate payment of the guaranteed deposit sum by the Deposit Guarantee Fund to the depositors of the failed bank and a significant share of the failed bank’s assets having already been sold at auction (pursuant to the appropriate procedure and regulations following the insolvency of a bank). Therefore, the legal ‘existence’ of such a bank is in practice arguable and it has been described by the Chairman of the NBU as a ‘zombie’ institution which poses a significant threat to the functioning of the banking system overall. The fact that there are likely to be further similar judgments rendered in the near future is a matter of considerable concern. The courts have supported the position of the insolvent banks’ shareholders and have acknowledged that the NBU’s actions were in breach of the existing regulations. 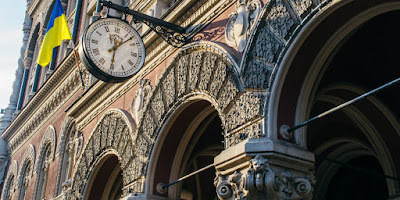 While the Chairman of the NBU has blamed the courts for the creation of such a dangerous precedent in the still unstable banking sector of the country, there is little doubt that a significant number of successful cases against the NBU illustrates that the central bank has acted in an ultra vires manner on at least several occasions. The fate of the ‘zombie’ banks is very uncertain, unless there is some clarification of the regulatory framework in which such matters are dealt with. Realistically, a ‘zombie’ bank has little or no assets left, most or all of the depositors have been given compensation within the limits of the guaranteed sum and no longer have any relationship with the bank, and the reputation of these banks have been destroyed in the eyes of potential clients and counterparties. Nevertheless, legally it ‘exists’ and has the right to function in the customary manner! Perhaps the only relative benefit in the restoration of the insolvent bank may lay in the fact that its shareholders/ultimate beneficiaries, managers and their affiliates will not be subject to any liability due to the bank’s insolvency. It is worth noting that Ukrainian legislation provides for the double liability of banks, which results in the possibility of civil, administrative and criminal liability of the aforementioned parties. The other viable step for the ‘zombie’ bank and its shareholders to instigate would be to file a claim against the NBU for damages incurred as the result of the unlawful action of the NBU. Given the obvious violation of powers on the part of the NBU, the prospects for such a claim being successful are good. However, it is for the courts to determine the extent of such compensation (if any). Additionally, following the high degree of public awareness of this situation, it might be that the Parliament of Ukraine will adopt some legislation to provide a clear solution to this problem. This post was written by Mr Andrii Zharikov, who is a PhD Student in Law at Aston University. Andrii’s institutional address can be found here.